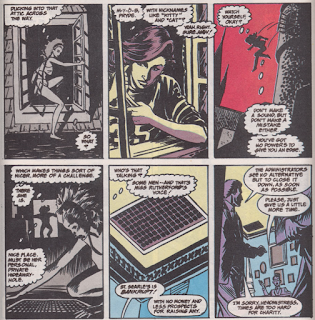 Mesmero captures Excalibur while Kitty devises a plan to save St. Searle's. 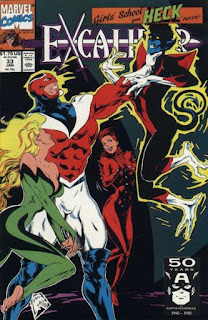 Responding to an invitation to appear on Meggan's favorite TV show, she and Captain Britain are hypnotized by Mesmero. 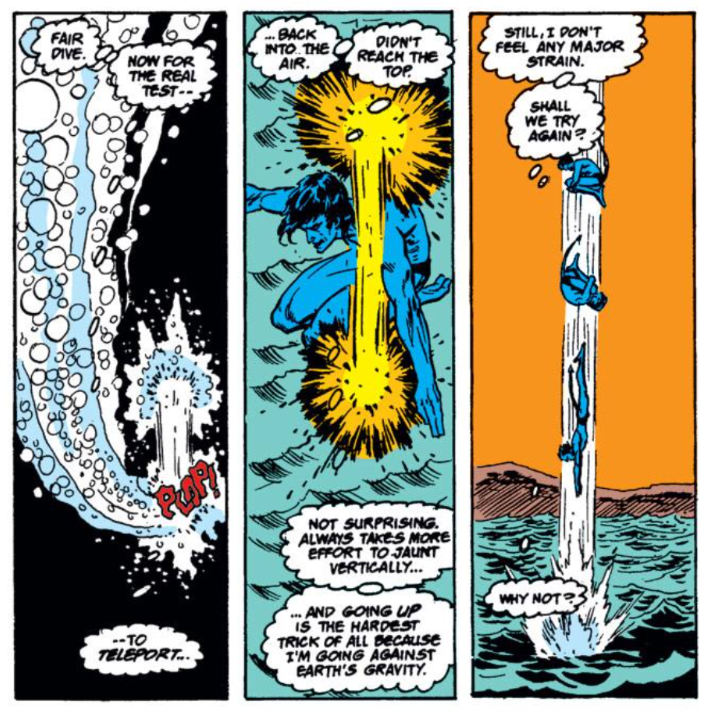 At Excalibur's lighthouse, Nightcrawler is practicing teleporting when he's attacked by the ensnared Captain Britain just as Phoenix is attacked by Meggan. Soon, Mesmero has all four heroes under his control. Meanwhile, at St. Searle's school, Kitty hones her martial arts ability, much to the wonderment of some watching underclassmen. When Phoebe arrives and attempts to drive off the underclassmen, they stand up to her, inspired by Kitty, prompting Phoebe to take a new approach, telling her friends to spread the word that everyone is to simply ignore Kitty, as though she doesn't exist. Later one night, Kitty spots Phoebe sneaking around school and follows her to where she's eavesdropping on a meeting between Miss Rutherford and the school's finance council, which declares the school will soon be shut down. The two girls end up bonding over their shared familial circumstances and appreciation for Miss Rutherford, and vow to do something to help her. In London, Colonel Vazhin & Major Levin watch Mesmero's dealings with Members of Parliament, but ultimately decide to focus on the threat of the Shadow King. 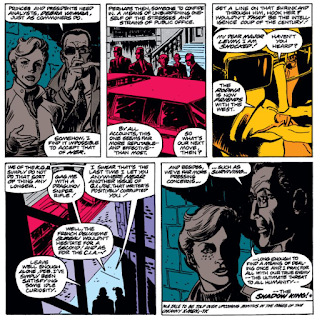 Mesmero again meets the robotic agents of the individual blackmailing him into using his position for nefarious goals, and tells the robots that he'll only meet the terms if he meets their master. 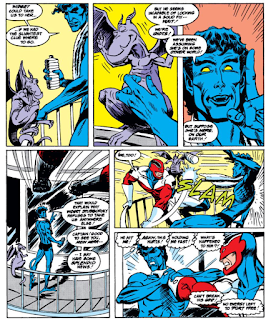 As they fly off, Mesmero reveals that he intends to use the hypnotized Excalibur to protect him from whomever is blackmailing him. Back at St. Searle's, Kitty & Phoebe unveil their plan to save the school: the senior girls will compete in a cheerleading contest sponsored by a visiting American football team, with the prize money going to the school and Kitty to lead the girls in the routines and on the field. 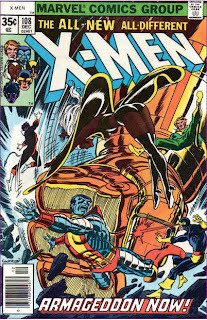 Colonel Vazhin, the Russian equivalent of Nick Fury, pops up in this issue (between his appearances in X-Men #264 and X-Factor #69). 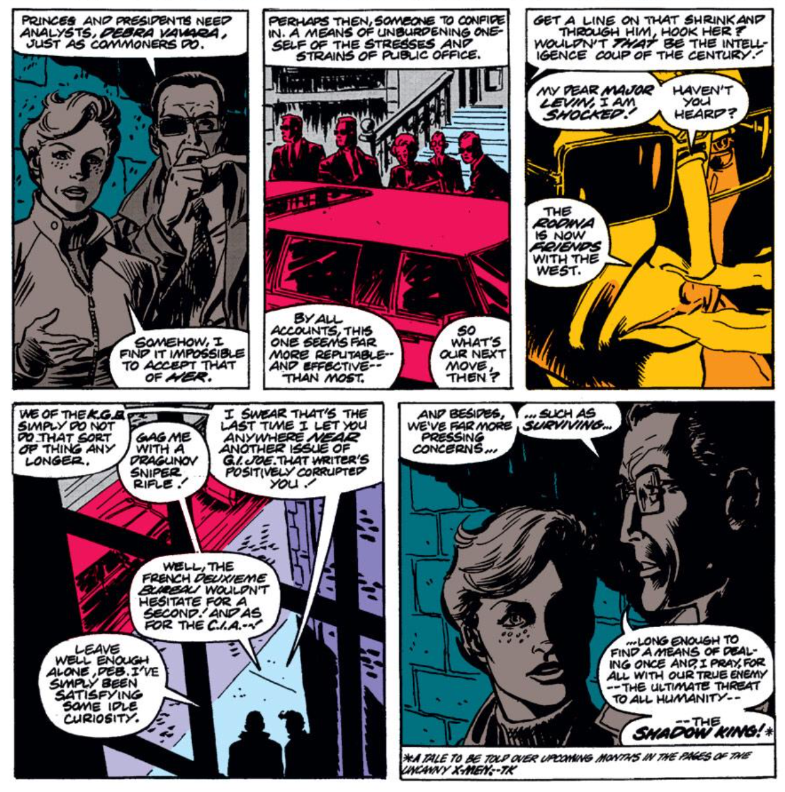 He is joined, as in X-Men #264, by Major Debra Levin, a character inspired by the character of the same name in Nth Man, which, as with this story, was drawn by Ron Wagner (she makes a joke about GI Joe comics being a bad influence; both that series and Nth Man was written by Larry Hama). Ultimately, their involvement just seems to be a way for Claremont to remind readers of the still-simmering Shadow King plot. An entranced Meggan appears before Rachel looking the same way Phoenix did when Mesmero ensnared her in the backup story to Classic X-Men #13. At one point, Captain Britain mentions in passing Excalibur going on missions; what are these missions he speaks of, and why haven't we seen any of them depicted in, you know, Excalibur's comic book? Nightcrawler is continuing to rehab his teleportation ability. 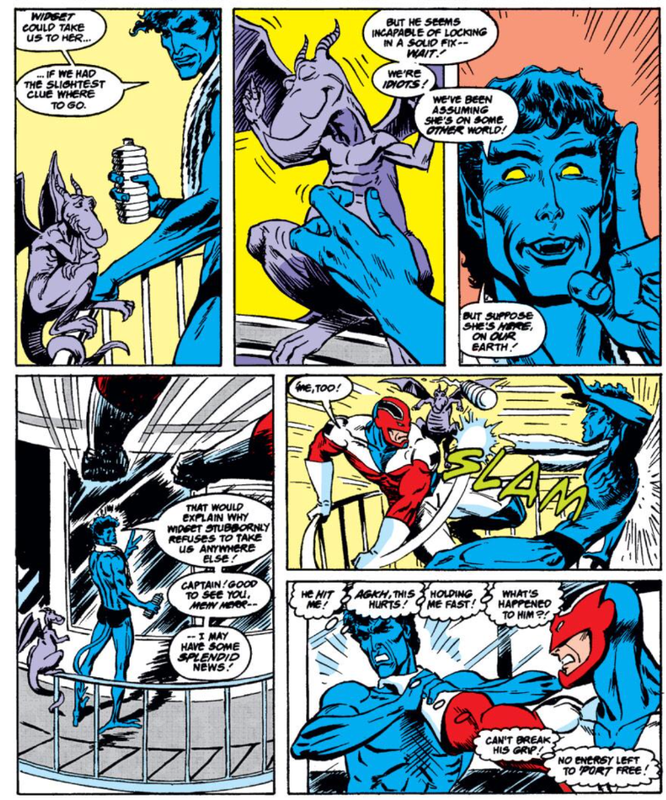 Later, he finally stumbles over the thought that maybe Kitty ended up back on Earth after all, revealing that Widget has refused to help them enter cross-time since returning to Earth (which both strengthens Nightcrawler's idea that Kitty is on Earth, and explains why Excalibur hasn't bothered at least trying to search the timestream for Kitty). Brian mentions setting up a VCR so Meggan can record all her favorite TV shows. "Girls School From Heck" widens its focus this issue, splitting time almost down the middle between the Mesmero/Excalibur side of things and Kitty's continuing adventures in prep school. With just one chapter left in the story, it'll be interesting to see how (if at all) the two threads of the story come together and Kitty gets reunited with Excalibur (Nightcrawler's sudden revelation that maybe Kitty ended up on Earth after all certainly opens the door for a reunion), but for now, this issue serves both threads of the story well. Kitty making friends with Phoebe more or less out of nowhere feels a bit rushed, but as the story needs to move forward quickly towards its conclusion, so be it. It at least keeps this chapter from repeating the same beats as the previous one. 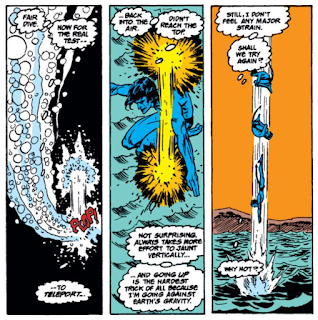 Over with the rest of the cast, Mesmero is used well, basically playing the same trick he did in his greatest hit by ensnaring all of Excalibur (including Phoenix, the second time he's taken control of a being with the power of the Phoenix), but with the clever twist that this time he's just using them to defend himself against whatever entity it is that wants him to use his otherwise-legit political contacts for evil. The end result manages to strike just the right balance between familiarity and innovation, recalling the original story but not just repeating it beat for beat, adding to the appeal of a story that isn't knock-your-socks-off-brilliant but benefits from a consistent narrative focus, a few familiar faces, and Claremont's steady hand. Tomorrow, Wolverine goes back in time in Wolverine #35. Next week, the X-teams hang out in Uncanny X-Men #273, and a trio of new characters debut in New Mutants #98. Maybe Claremont didn't bother to read any of the fill-ins and just assumed they were full of missions. Heh. I find something deeply amusing about this. Like, Claremont just assuming the title has been humming along, doing its thing, operating like any other superhero book, when in fact it's been this random hodgepodge of stories and tones and artists. Like it's kind of a generic term similar to heroes who go "on patrol" every night. It doesn't ring true somehow. I know this makes little sense, but I've always felt that way. I kinda get what you mean. It feels...stodgy and old-fashioned, like the Avengers holding formal meetings and electing chairpeople, or Xavier handing out demerits. It doesn't bother me when used for more formal or proactive teams (like the Avengers), and I can definitely see Batman going out on nightly patrols, but for groups where fighting bad guys is a secondary concern (or more a concern only when the bad guys present themselves), like the FF or even the X-Men, it feels...not right. Like the writer is trying to shoehorn them into a role just for the sake of narrative expediency. It didn't bother me here because I *want* Excalibur to be the British Avengers (well, I just want Excalibur to be SOMETHING), aside from the fact that, as I mentioned, we haven't actually seen Excalibur do much that could be termed a mission. Aside from the Thor story, of course. They can hardly say they've been on credulity-eluding happenstances of serial nature month in, month out. Missions and patrol are good codewords, as long as you immediately ignore them instead of thinking Cable or something. "Adventures", maybe? Nah, that has some cheesy connotations to it as well. You're right, that "missions" and "patrols" are probably the least of all evils, and best just breezed past. 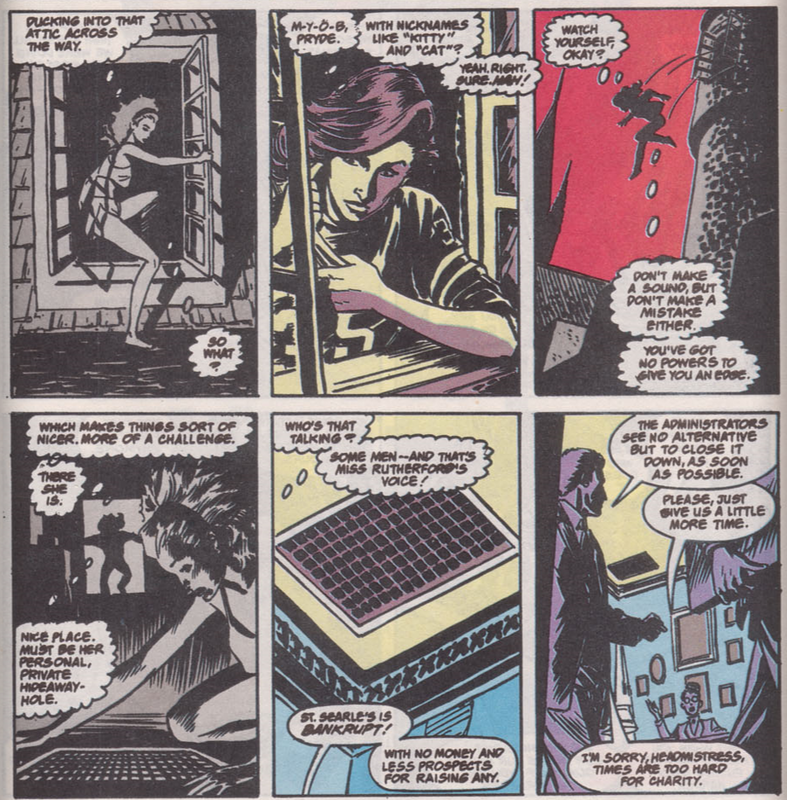 Small correction: the backup story with Jean in the miniskirt occurs in Classic #17, not 13. I didn't realize Claremont was giving a shoutout to Hama with that female character. That's neat. I really want to read Nth Man one day. "their involvement just seems to be a way for Claremont to remind readers of the still-simmering Shadow King plot." I wonder if CC was going to have Excaliber involved in that storyline had he stayed on the title? It does seem strange to have him keep bringing up the subplot in this title, giving it almost as much subplot time here as he does in Uncanny. "At one point, Captain Britain mentions in passing Excalibur going on missions"
Well, they kind of did with Juggernaut and Lightning Squad...I think? Good cover from Steve Lightle… I’ve found some of his art too stiff in the past but enjoyed a fair bit of it too. Claremontisms: Kitty’s use of “expulsoids” feels like one, just in the general way that he has her and other youngsters add “-oid(s)” to words to sound, I dunno, teenagery.